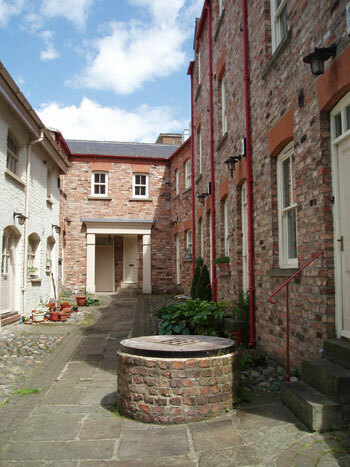 Bought by the Trust as the rear to 13/14 Fossgate, this Yard was named after the Morrell Family, the founders of this Trust who did so much in maintaining and renovating historic buildings in this City. Their descendants are currently trustees of the Trust. The rear of the property included a workshop which was built in the 19th century in painted Flemish Bond brickwork with a slate roof. Internally the property was of little interest, having only two large rooms, one on the ground floor and one on the first floor. 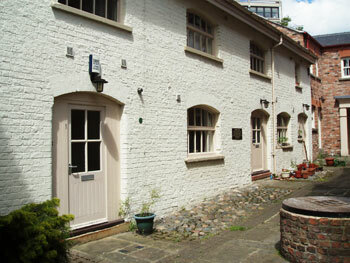 This workshop was used by a cabinet maker until its conversion by the Trust, in early 1999, into two flats and a maisonette as part of the residential development in the Yard. Also bought at the same time as 13/14 Fossgate were three cottages at the rear which were in a very poor structural condition. After much careful consideration these were demolished and rebuilt again as three individual units, utilising most of the bricks from the original cottages. A further extension was created by the purchase of land at the end of the Yard from the Macdonald family to make a new build development of four flats, bringing the total number of dwellings in Morrell Yard to ten. Within the Yard itself was discovered a Medieval Well which was full of earth, rubbish and possibly antiquities. After consultation with York Archaeological Trust, and having been rejected for a Lottery Grant, it was decided simply to cover this over with a grill as it would be too costly to excavate such a confined space, which could possibly reach a depth of 16 metres. Perhaps a project for the Time Team? 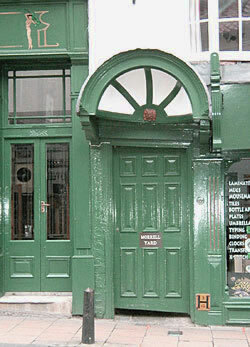 Morrell Yard was officially opened by The Lord Mayor of York on 8 May 2001.